Places of public accommodation, as defined by Title III of the Americans With Disabilities Act, requires that new facilities be constructed to be accessible to disabled individuals. Examples of such buildings include commercial facilities such as office buildings, factories and warehouses, and places of public accommodation, including entertainment facilities, educational facilities, food establishments and places of public gathering. Public restrooms are required to be compliant with the ADA. 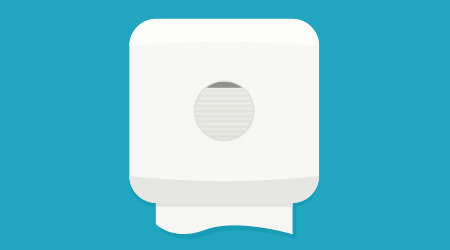 To meet the criteria established by the act, paper towel dispensers should be installed a minimum of 15 inches or a maximum of 48 inches off the floor for forward-reaching range, or a minimum of 9 inches or maximum of 54 inches for those reaching from the side. Clear floor space of 30 inches by 48 inches is required in the approach to the dispenser. Touch-free fixtures, battery operated or not, also allow those with disabilities to more readily obtain towels.